Hilltop club Is a good Place to live.submitted by Jesus B. - Mar 03, 2017 |Recommended: Yes.. It is close by and has good size rooms. Decent starter homesubmitted by Chandler B. - Mar 03, 2017 |Recommended: YesIt's a good place for college students having to pay their own bills. Fairly noisy, too parking, good amenities in the clubhouse,helpful staff. response from property - Mar 03, 2017 Hey Chandler! Thanks so much for leaving this review for us! We love to hear from our residents on ways to make Hilltop Club more enjoyable for everyone and will take these things listed into consideration for the future! Dumpsters....submitted by Darren J. - Feb 28, 2017 |Recommended: NoOverall, it is a good place to live but the one thing that needs to change in order for me to renew my lease is the dumpster area. Half the time it is over flowing, which makes the place we all live at look very trashy. I pay too much money for there to trash over flowing more times than not... There also needs to be more places for residents to put trash so that we do not have to travel outside of gates to take our trash out. These are very big issues for me as well as a lot of other people that I know that live at here. Besides those issues, it is a fine place to live. response from property - Mar 03, 2017 Hey Blake! Thank you so much for leaving this review for us! We'd love to hear more from you on these topics if you have time to stop in and speak with us? Please email marketing.hilltopclub@pepshmgmt.com to set up a meeting. We look forward to hearing more from you! response from property - Mar 03, 2017 Hey Jason! Thanks for leaving this review for us. We value your opinion and would love to speak with you about this and find new ways to make Hilltop Club more enjoyable for you! Please email marketing.hilltopclub@pepshmgmt.com to set up a meeting. Good place for college studentssubmitted by Traci D. - Feb 07, 2017 |Recommended: YesOverall, the apartments are very well taken care of and furnished modernly. In walking distance to grocery shopping as well as a few restaurants. Only real problem is finding visitor parking when you have company over. You just have to watch for the residents that speed through the complex as well. The staff is knowledge-able about the apartments and try to resolve every problem to the best of their ability. Even after a few minor inconveniences at the start of my stay, it was quickly solved and they were very nice about it. I would recommend this complex to those just starting out in apartments or someone that doesn't have a lot to start out. response from property - Feb 07, 2017 Hey Traci! Thank you so much for taking the time to write this review for us! We are glad to hear that your stay here has been a good one. Please let us know if there is anything we can do to help make your stay an even better one!! I like the layout of the property. I love my 3 bedroom apartmentsubmitted by Lauren G. - Feb 06, 2017 |Recommended: YesI like the updates to the apartments. The people above me were loud when we still had carpet flooring, but now that we have laminate flooring, they are ten times louder. I'm sure not everyone's apartment will be like that. We need more visitor parking Overall, I love living here. response from property - Feb 17, 2017 Hey Lauren!! Thanks for writing this review with us!! We value your opinion and take all of these things into account when looking to make Hilltop Club a better place for everyone! Office Employeessubmitted by Kyle P. - Feb 03, 2017 |Recommended: YesEmployees like to beat around the push when on the phone and not give an honest answer to your questions, especially if they don't know the answer. And instead of transferring me to someone that does they will run back and forth to the phone and then they forget half of what was said or just can't continue the conversation afterwards. Overall everyone is super nice and thoughtful, people just don't seem to completely know what's going on at all times. Overall pretty goodsubmitted by Molly M. - Feb 03, 2017 |Recommended: YesIt is a very nice place to live but it can be very very noisy. In some apartment buildings there are strong odors of weed smells. Also, when the apartments were updated with new floors, it was obvious that workers used my bathroom and left a mess. Also, after the floors were installed, there was dust and a huge mess left for us to clean up. Dust got into our rooms, all over our appliances and personal belongings in the kitchen and living area that we had to clean up. A warning would have been nice and we could have covered that up or the people putting the floors in could have made some effort to clean it up. response from property - Feb 03, 2017 Hey Molly! Thank you for sharing this review with us! 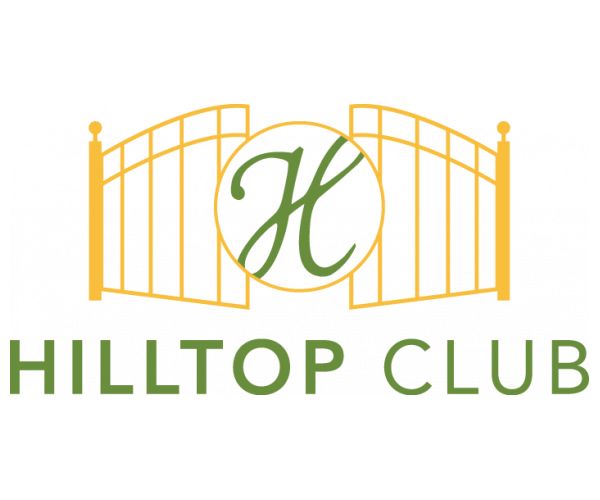 We value your opinion and love hearing of ways we can help make Hilltop Club better for you! Great place to livesubmitted by Shelby P. - Feb 01, 2017 |Recommended: YesOther than noisy neighbors I have no complaints. response from property - Feb 03, 2017 Hey Shelby! Thank you for sharing this with us! We would love to speak more with you on the noise issue. Please email marketing.hilltopclub@pepshmgmt.com to set up a time to meet. response from property - Feb 03, 2017 Hey Jonathan! We'd love to speak with you more about this issue with your neighbors. Do you have time to talk next week? Please email marketing.hilltopclub@pepshmgmt.com to set up a time. Hilltop Clubsubmitted by Vaishnav R. - Jan 25, 2017 |Recommended: YesAwesome place with loads of amenities. Really worth the money. response from property - Feb 03, 2017 Vaishnav, It has been so great having you here with us! So glad you have decided to continue your stay!! Greatsubmitted by Asianna F. - Jan 19, 2017 |Recommended: YesNice environment. response from property - Jan 25, 2017 Thank you for this review, Asianna! It's been great having you here with us!! response from property - Jan 25, 2017 Thanks for sharing this wish us, Taryn! It's been great having you and the girls here with us!! Hmmmmsubmitted by Cheyanne H. - Jan 03, 2017 |Recommended: NoThe office hours are crap for a college student. I'm never here when the office is open, my apartment constantly smells of weed from other apartments around me as none of my roommates nor myself smoke.This complex is loud at night especially on the weekend hope you don't plan to sleep or study. the parking is ok. The visitor parking is much better than the last complex i was in, but overall the only thing i truly like is the layout.